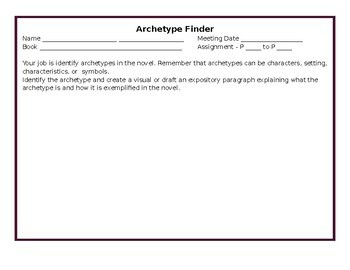 These activities are intended to help students participate in novel study discussions while also reviewing concepts taught in ELA II such as archetypes, moral dilemmas, and thematic connections. 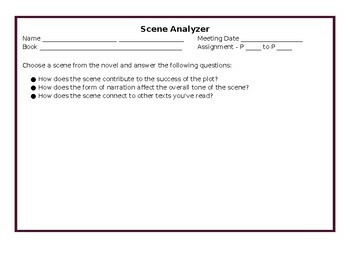 Students can be assigned reading sections of novels or short stories and be asked to complete the activities. 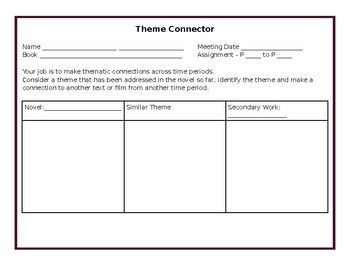 Students can then discuss either as a class or in novel study groups. 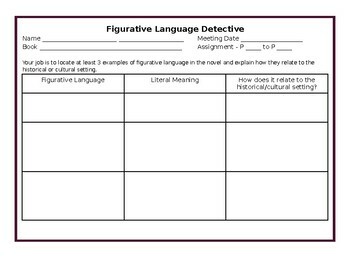 They are intended to resemble literature circle "jobs" but with concepts taught in ELA II. Can be used as a review for the year.